Tash's Projects — Where Did Your Style Go? tash has been FORTUNATE to work on INCREDIBLE projects all over the world. here is some of her most recent work. “I don’t refer to myself as an influencer, but instead a style curator and tastemaker. After working in the fashion industry for over 20 years, mainly as a head of buying for a large Australian retailer, and then co founder of a revolutionary social media retail concept - I have real insight into the fashion and lifestyle space. I have an authentic approach to sharing my views on products and brands, and support a conscious consumer message. I was recently in West Africa in the villages of Tamale in Ghana with The Body Shop. This was to see first-hand the entire process of a true, environmental, sustainable and fair-trade product, from sourcing ingredients, manufacturing systems, marketing, education & giving back socially. I wish more people could experience this – as some don’t realise how much work goes into sustainable beauty. The impact is bigger than just our environment; it impacts people’s lives and future generations. A product (the only product) the villages have been using for centuries as an intensely enriching hair and body moisturiser, made from a nut from a wild Shea tree. This part of the world is incredibly dry and hot and remote, yet the women’s skin and hair are beautiful. Now, Shea butter is being shared with the rest of the world because The Body Shop worked out how they could trade with the community over 25 years ago. For International Women’s Day, I hosted The Body Shop event in Sydney to celebrate women’s empowerment. A celebration of women contributing wonderful things in their field, while openly discussing challenges women face in the work place, in society and in regards to health, including how The Body Shop support global initiatives, such as the work I witnessed in West Africa. Guest speakers were, Julie Bishop MP discussing work place discrimination, academic and womens rites activist, Dr Susan Carland, Dr Chantel Thornton, breast cancer specialist and surgeon and Anny Bargo, discussing womens issues in Aboriginal communities. I have become very aware of the impact my family and I have on the world, and been working towards a conscious approach to my work and home life. In 2018 I was thrilled to become an ambassador for Volvo, mainly because they are a company committed to technology for an cleaner and safer world. Minimalist design aesthetic that Scandinavians are famous for and their commitment to a cleaner footprint on the road and off, which reduces my cars impact on the environment - this is why I love working with Volvo. These cars are next generations vehicles, that are as sustainable as possible containing more recycled plastics - even my interior carpet is manufactured primary from recycled plastic bottles. I also drive a plug in hybrid option to reduce admissions and saves me money. And something I need in a car is safety for my family. Intuitive technology means these cars minimise the likelihood of an accident. I am honoured to work closely with the Taronga Conservation Society in raising awareness of the incredible work they do for animals, their habitats and their efforts to protect it for the future. From top to bottom, they are committed to a greener future with sustainable practices and policies embedded in the core of all their activities. 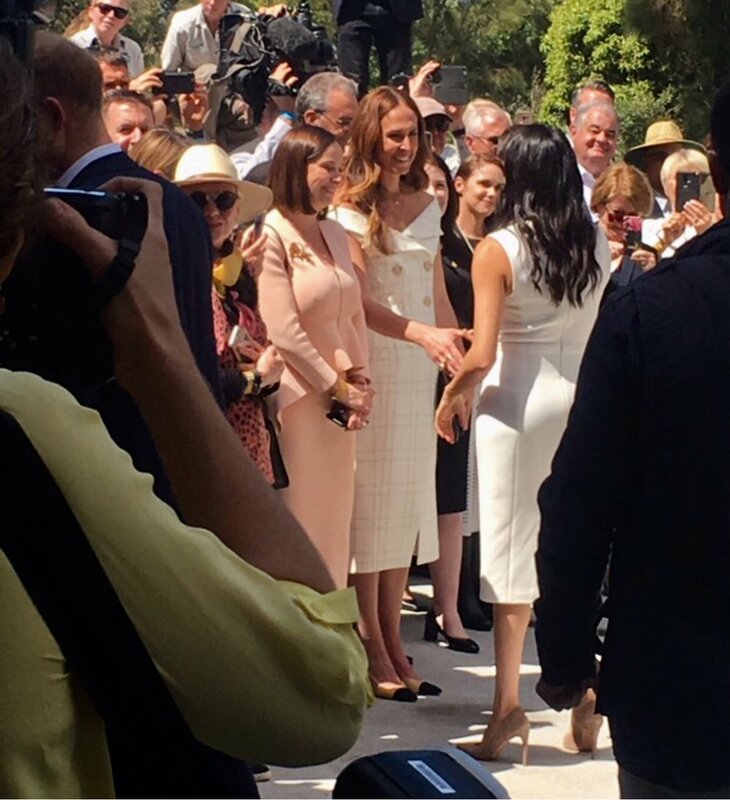 Even recognised by the Duke and Duchess of Sussex (yes, Harry and Meaghan) during their recent trip to Sydney ….and Y-E-S I was very grateful to meet them. I have to say that it’s incredible to witness the work of so many dedicated, passionate people in this field, the need of which is only driven home when you watch distressing videos like the turtle with a straw up its nose, rhinos left to die so their horn can be removed or even the smuggling of our native birds (the list can go on and on). Horrendous! Taronga Conservation Society Australia is a leader in the fields of conservation, research, animal welfare, wildlife rehabilitation and environmental education. Taronga is a not-for-profit organisation with an absolute commitment to conservation and securing a shared future for wildlife and people. Australia Harper’ Bazaar Conservation Edition December 2018. Images by Georges Antoni / Featuring Gemma Ward. 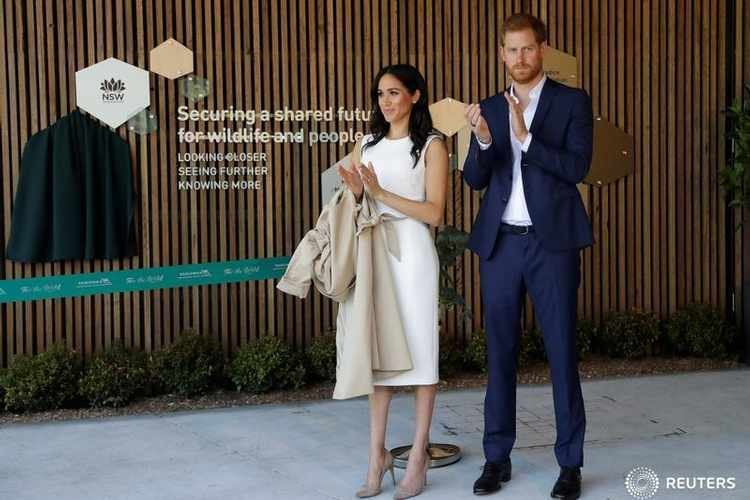 Duke and Duchess of Sussex, Prince Harry and Meghan Markle Taronga Visit. As the change of season is upon us, now is the perfect time to assess your wardrobe. Because rather than going out to buy all new season trends and spending a fortune in the process, I am here to teach you about building the perfect transeasonal ‘wearable’ wardrobe. In 1870, Guerlain invented the ""Ne m'Oubliez Pas"" lipstick. 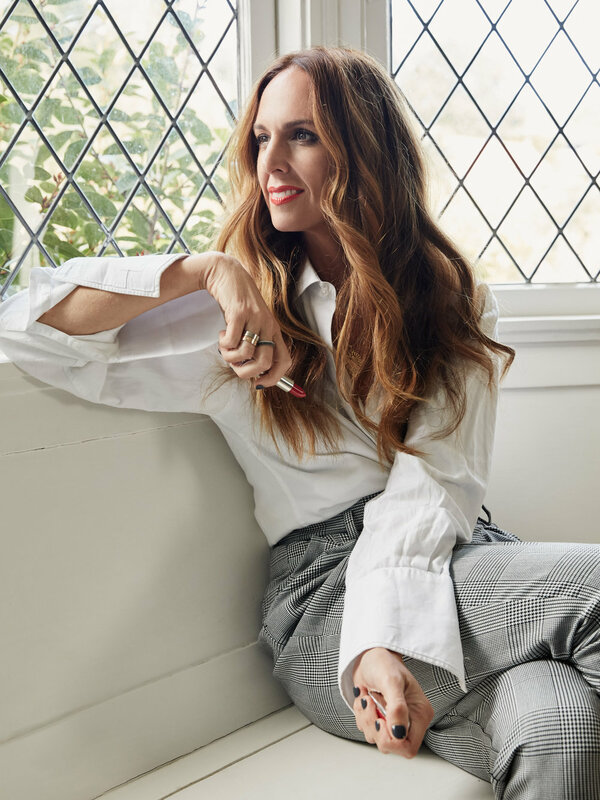 Since, Guerlain has continued to reinvent the lipstick with Rouge G de Guerlain, the customizable lipstick which was re launch in 2018 - this was part of the global campaign.